Learning a new language can be one of the most difficult tasks that anyone ever undertakes. There are so many grammatical and lexical rules that change between languages. It can be a challenging task – but one that is so rewarding! That’s why choosing the correct English school and tutors to guide you through the maze of language is so important. Whether you’re an international student looking to complete their education, a permanent resident who wants to improve their English, or even someone planning on sitting the International English Language Testing System (IELTS), Academia is the place for you to learn English! The experienced teachers at Academia are passionate about language and are more than qualified to teach you everything you need to know to confidently master the language. Want to hear from past students just like you? Read some testimonials and watch some videos from former students who sing the praises of Academia’s English courses. 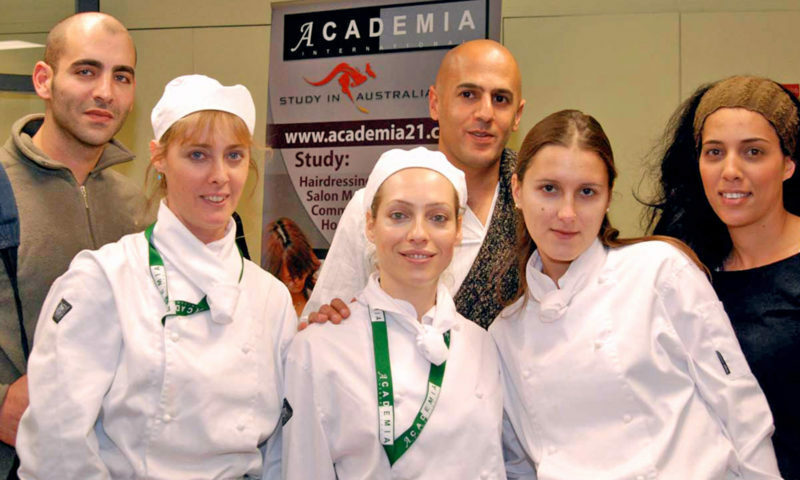 If you are looking to study English in Melbourne or Brisbane, then Academia is for you. Not only do we provide high quality training, but all of our English courses are endorsed by NEAS (National English Language Testing Accreditation Scheme). NEAS ensures that education providers deliver top quality classes and information to students. In fact we have received NEAS highest accolade in having our English Centres in Melbourne and Brisbane receive the status of “NEAS Quality Endorsed Centres”. This means that from the moment you enroll with Academia, you can be positive that you will be provided with the very best English education. Everyone who desires to learn a language, any language, has their own reason for doing so. Academia understands this and has created three separate courses that are designed to meet three different needs, broadly speaking. This means that whatever the reason is that you have decided to study English in Australia, Academia has a course that suits your circumstances. The General English (GE) course can run from 2 to 60 weeks and involves four days of study, amounting to 20 hours a week. Classes run from Monday to Thursday. On Fridays, additional classes are provided at no extra cost to you. These optional classes include Conversation Club, where you can practice your speaking skills, and Job Club, where we share helpful tips to writing a resume and answering common job interview questions. Find out more about these FREE weekly activities and classes here. The GE course offers six levels from Beginner to Advanced. The main focus of the program is to help our students better communicate in everyday situations. It provides the basic English skills needed to function as a part of an English-speaking community. Find out more about our General English course here. Similar to the General English course, our English for Academic Purposes (EAP) course runs from Monday to Thursday with 20 hours of class time per week. Additional classes and activities are also available on Friday. Out of the two Academic English courses provided by Academia, EAP1 is the more elementary fo the two. However, students will still be required to have a confident understanding of basic English in order to begin and complete this level. You will require an IELTS score of 5.0 or equivalent to be eligible to enter EAP1. In order to be eligible for EAP2, you must first complete EAP1: vital skills learnt in EAP1 will be needed to successfully complete EAP2. EAP2 prepares students who wish to enter tertiary education and further their studies. You will learn English language skills to help you complete your degree! Find out more about our English for Academic Purposes course here. There are a multitude of reasons that people elect to take the International English Language Testing System (IELTS). Some people are required to take the test in order to gain employment in Australia or to enter into higher education at an Australian tertiary institute. While others simply elect to take the test in order to further the elocution of the English language. Throughout this program you will have the opportunity to practice every aspect of IELTS, including listening, writing, reading, and speaking. There will also be multiple opportunities for you to take a practice IELTS test in preparation for the real test. Classes run for five hours a day between Monday and Thursday. There are additional classes and social activities available on Fridays for no extra cost. The classes will be delivered over a 20 week period and require an intermediate to advanced knowledge of English. Find out more about our English for IELTS Preparation course. Enrol in Academia’s English courses today! If you’d like to learn more about the English courses available to you at Academia, we invite you to fill in this form to submit your interest. Prefer to chat over the phone? Call us! We would love to help you! Is studying English right for me? 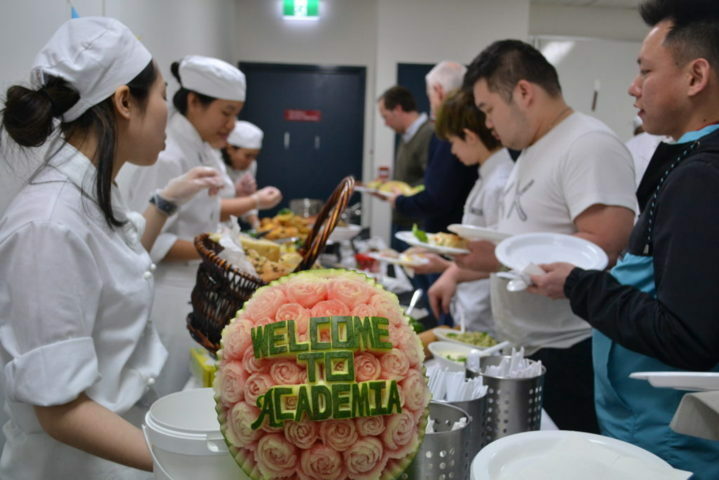 At Academia, we’re proud to welcome students of all ages and from all walks of life to our Australian campuses. We’re passionate about fueling your desire to arm yourself with the best education that will lead you to a secure and fulfilling career! Whether your passion lies in childcare and education or you’ve got special skills in the kitchen and want to pursue commercial cookery, we’re here with you every step of the way. For many international students, our English courses are the first step they take towards their education. With a newly acquired grasp of one of the world’s most popular language, students are confident to pursue further education in their chosen field, getting one step closer to a wonderful career. If you’re reading this blog post, there’s a strong chance you’re thinking about formally studying the English language. Do you want more job opportunities? As companies grow, they may spread their wings and seek more opportunity internationally. Many companies – regardless of their location – also choose to conduct their business entirely (or at least primarily) in English. English has in fact been called “The Language of Global Business”. As such, a strong grasp of the English language is becoming more and more important on your resume. Arm yourself with the confidence you need to pursue a great career! Do you want to pursue further education? 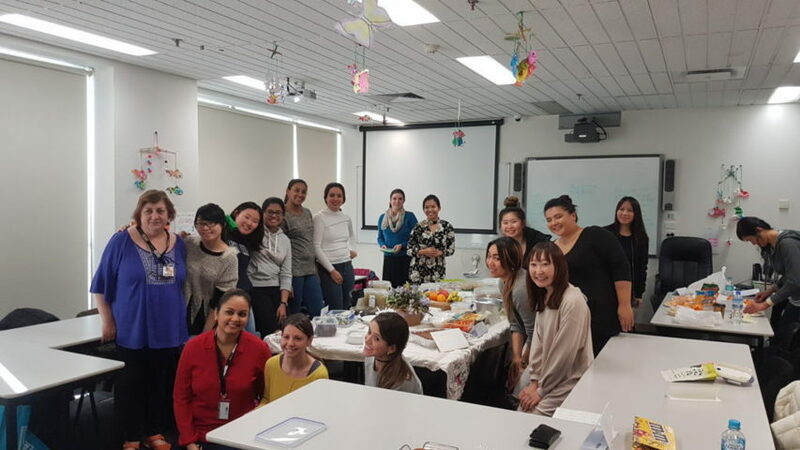 Many students who come to Academia to learn English have the goal of pursuing a passion through one of our other courses, including hospitality management or childcare. Learning English is a key skill students apply once they are ready to follow their passion. Our English courses set you on the right pathway towards your chosen course and ideal career! English is the official language of 59 countries – the most popular official language in the world! In second place is French with 29 countries. That’s quite a large leap! 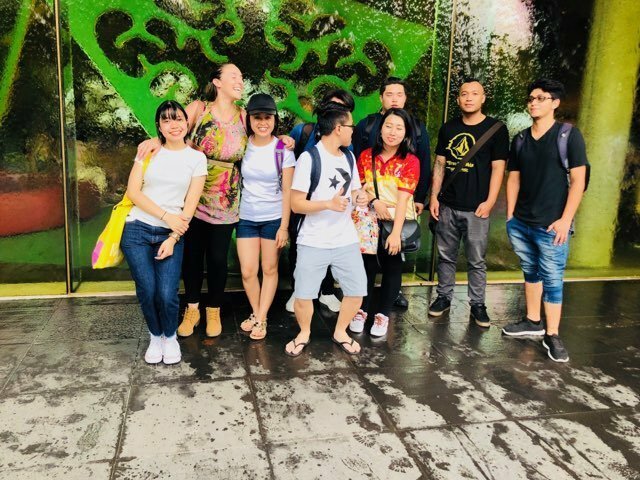 Having a great understanding of the English language will help you enjoy more than just a holiday; rather, you’ll experience an immersive journey in a foreign land. Start off with subtitles, and over time, see how confident you feel turning them off and following along with the plot! Watching movies can help you improve pronunciation and expand your vocabulary. Similarly, jump onto YouTube and search for English videos about things you’re interested in. Whether that’s celebrity interviews or cool facts about space, you won’t even feel like you’re learning! This smart trick can help improve your listening and comprehension. Old music, new music – whatever you like! Listening to English-language music can be a fun challenge to see if you can keep up. Afterwards, look up lyrics and learn about slang, crazy sayings, or words unique to different English-speaking countries. Lyric videos on YouTube are also a great way to practice your listening and reading skills! Get up from the desk and actually go out and experience the English language by interacting with native speakers. This could be as simple as going to the supermarket and asking for the location of a certain item, or heading out to a restaurant and practicing your food-ordering skills! Learn English and live the unique Aussie lifestyle with Academia! Located just a few minutes’ by foot from Brisbane’s Central Station, students at our Brisbane campus benefit from being close to the country and the sea! 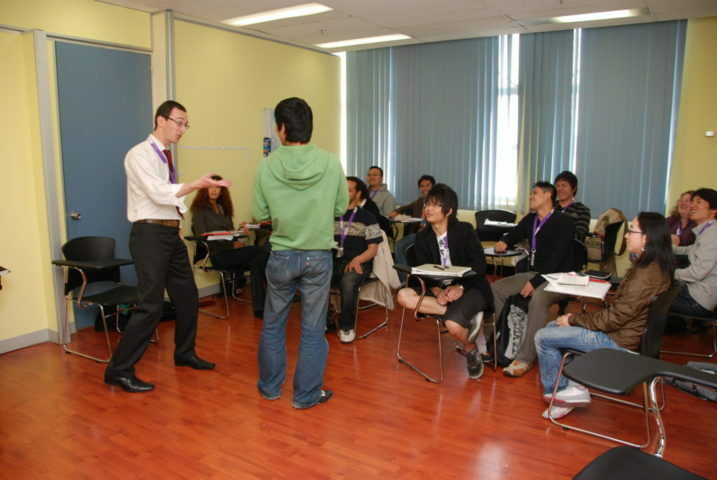 Learn English at Academia Brisbane and enjoy a truly personalised learning experience. Small classes, friendly and supportive trainers, and real student care make Academia the premier choice for English courses in Brisbane. Study English at our Melbourne campus while simultaneously enjoying a truly Melburnian lifestyle. From our iconic brunches (“Smashed Av” is a favourite!) to our great culture and foodie scene, Melbourne’s a great place to not only study, but to live, too. Practice your skills in a supportive environment with help from motivational trainers! Our GE course is great for everyone from beginners to advanced learners. This English course is ideal for those who want to pursue further study, as mentioned earlier in this blog post. This English course is tailored specifically for students who are preparing to take the IELTS test. Classes run from Monday to Thursday with additional optional classes on Fridays! Want more information about our English courses? The best way to improve your English, like any language, is to live among and converse with native speakers. This is why so many international students choose to live and study in Australia. The best thing is, whatever your level of English, an English school will have a programme to meet your needs. Do you already have intermediate English language skills? Are you thinking about enrolling in an English-speaking university? Ar you a professional who is about to start a training programme? Are you seeking professional registration? Are you planning to migrate to an English-speaking country?